Tucked just off Pineville-Matthews Road in South Charlotte is the small community of Rea Woods. This fantastic area is home to around 150 homes built by John Weiland. These all brick homes are stately and have great attention to detail. Built mostly from the mid 1990’s to 2000, homes in Rea Woods enjoy a peaceful setting while being close to all the conveniences. Located between Carmel Road and Rea Road off Highway 51 has you just minutes away from SouthPark, the Arboretum, Pineville, Piper Glen, Stonecrest, and Ballantyne. 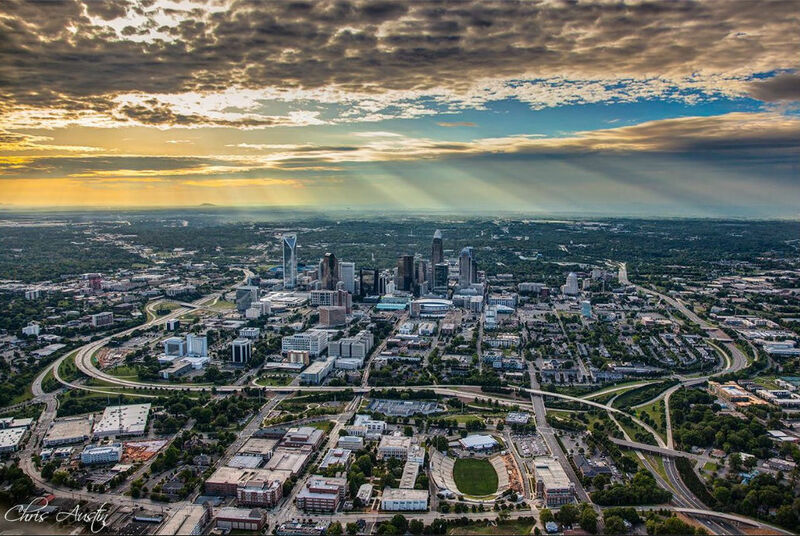 A commute to Uptown Charlotte should take around 25 minutes. The airport is also just around 25 minutes away from easy access to I-485. Besides great shopping, dining, and entertainment, there are lots of opportunities for fitness, recreation and outdoor activities nearby and in Rea Woods. McAlpine Creek Greenway is about 5 miles away and offers walking, jogging and biking trails. There are also many nearby parks, country clubs and golf courses. The Rea Woods community contains a pool, baby pool, clubhouse, tennis courts, and children’s playground. 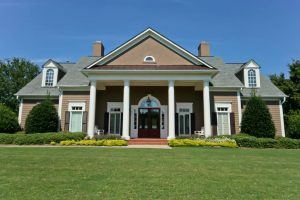 These amenities are managed by the active homeowner’s association. Besides these common areas, the association coordinates events for all ages throughout the year. Rea Woods is also connected to neighboring Challis Farm so there are plenty of walkable streets and safe streets for kids to ride around on bikes. Rea Woods is currently zoned for award winning McAlpine Elementary School, South Charlotte Middle School and South Mecklenburg High School. Please verify school assignments as they are subject to change. 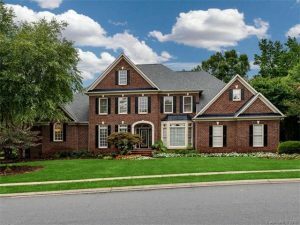 There are also many private school options nearby including Charlotte Country Day. Homes in Rea Woods are typically 2 or 3 stories and some have full basements as well. Garages are either 2 or 3 car with lots of storage. Most homes have hardwood floors on the main level. Built-ins and extensive mouldings are the norm. Rooms are generously sized in flowing floor-plans. Homes here are grand in scale with most between 3,000 and 5,000 square feet. Lots in Rea Woods are large and have well tended landscaping. Most are at least a quarter acre and some are up to three-quarters of an acre. Trees are large and provide lots of shade. Many homes in Rea Woods take advantage of the outdoors and have outside living spaces or even outdoor kitchens. 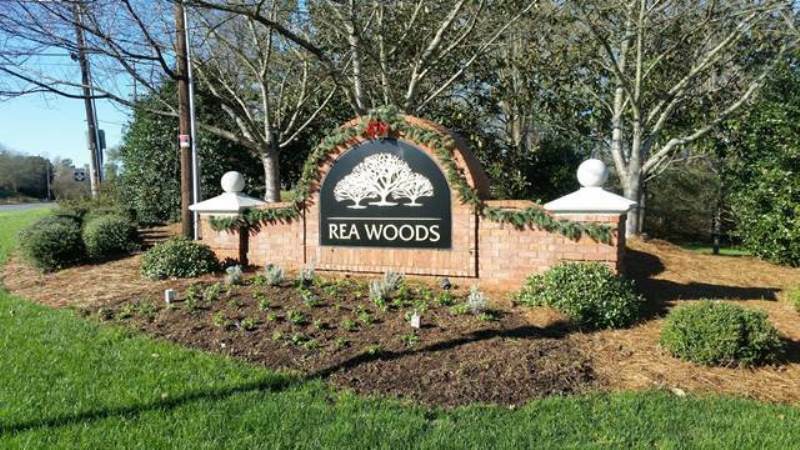 In the past year, only 9 homes sold in Rea Woods for an average price of $575,389. This lack of turnover means that there are usually many people trying to get a coveted home here. 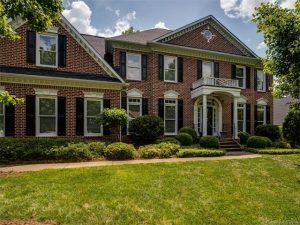 If you would like to own a home in Rea Woods or another neighborhood in Charlotte, give us a call at (704) 525-4045. You can also view homes in Rea Woods on our website here.